Unlimited. 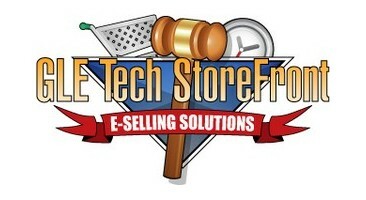 Email and Forum Support anytime. Telephone support is available 10:00 AM to 5:00 PM Monday through Friday, and by arrangement at other times. - $99.99 Setup Cost Includes 10 hours of Template customization and content additions. Additional hours billed from $25.00 to $75.00 per hour depending on the type of customization. You are required to provide all graphics. - All Sites include free SSL certificate. Secure image hosting is an eBay requirement. Each GLE Tech Hosted Website includes domain hosting, software setup, and training. There is no minimum term. 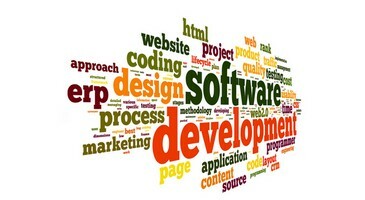 Customizations are always available beyond the standard software, with pricing specific to the project. Please Contact us or call 239-634-2172 (Eastern US) so that we can discuss your project, and determine what features and options are right for you. The cost to use the GLE Tech Control Panel is designed to be affordable for small sellers and those just starting out, but scale with the size of your business as you grow. We have sellers with a few hundred listings, and some with half a million. The same time saving tools at everyone's disposal. Example 1: A seller using the Contrrol Panel only sells on eBay, and has less than 10,000 items in inventory. The cost per month is $29.99. Example 2: A seller using the Contrrol Panel sells on eBay and Amazon, and has less than 10,000 items in inventory. The cost per month is $29.99 + $10.00 for the addiitonal selling channel. Example 3: A seller using the Contrrol Panel only sells on eBay, and has 50,000 items in inventory. The cost per month is $29.99 + $8.00 (4 x $2 for 40k additional items over the included 10k. 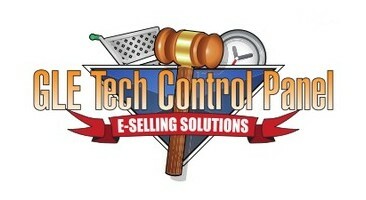 Example 4: A seller using the Contrrol Panel sells on eBay and Amazon, and has 100,000 items in inventory. Only 20k are on eBay. Amazon has 100k Items listed. The cost per month is $29.99 + $10.00 for the additional selling channel + $2.00 (1 x $2 for 10k additional items listed on eBay over the included 10k. + $18.00 (9 x $2 for 90k additional items listed on Amazon over the included 10k.